The Sydney Solar Hot Water System Guide. Switching to solar hot water. How do solar hot water heaters work? If you live in Sydney and most parts of Australia, using solar energy to heat hot water is an effective way to use our abundant sunshine saving money on your household bills and reducing your greenhouse gas emissions. Solar water heaters work by absorbing energy from the sun’s rays in the roof mounted solar collectors and transferring this to heat water stored in the tank. Ground mounted direct systems rely on an inbuilt circulator to push the water through the system, whereas roof mounted systems rely on a natural ‘thermosiphon’ effect. Water passes through the solar collector where it is heated, then moves out of the collector and into the tank. The tank gradually gets hotter until the water reaches its maximum stored temperature. Collector panels should be located on the roof, preferably on a north-facing section at an angle of around 35 degrees above horizontal, and free from any shading. Angles as low as 15 degrees may be acceptable, but winter performance of the system will be decreased and more panels may be needed to accumulate enough power. The location of the storage cylinder either on the roof or at ground level should be close to the main hot water outlets (usually in the kitchen and bathroom). All solar systems come with a gas, off-peak electric or solid fuel booster to supply hot water during periods of low sunshine. To avoid wasting fuel and money, it is important that booster switches be fitted with timers or easily accessible on/off switches. Indirect systems such as solar heat pumps, use a special heating fluid, rather than water to absorb heat from the collectors. The heat is transferred to the water in the tank via a heat exchanger. Switching to solar hot water offers both excellent environmental and financial investments. Solar hot water can significantly reduce fossil fuel energy use and consequent pollution and greenhouse gas emissions. Not only are you helping the environment by installing a solar hot water or heat pump system, you could also enjoy substantial savings on your household hot water energy use of up to 73%. Which solar hot water system? If you have ample free roof space, then you are perfectly placed for solar options. Roof top solar for example, work by mounting the solar panels and storage tank together on the roof. The collectors draw the sun’s energy into fluid in the solar collectors, then the heated fluid circulates the adjacent storage tank. 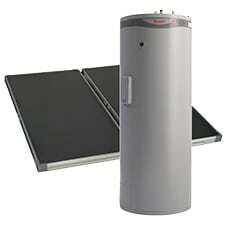 Rheem’s roof-mounted solar hot water systems have storage cylinders made of either quality stainless steel or vitreous enamel coated mild steel. Stainless steel is prominent in most kitchens for its purity, aesthetics, ease of maintenance and corrosion resistance. Stainless steel acts as a natural barrier to corrosion, whereas vitreous enamel coated water heaters require a sacrificial anode. 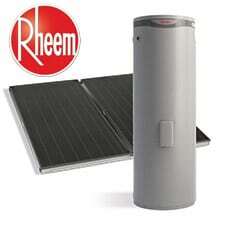 The outer casing of Rheem’s stainless steel solar range is constructed from weatherproof COLORBOND® steel. Rheem offer a choice of four contemporary COLORBOND® steel colours with their modern design roof mounted range. Rheem’s roof-mounted storage systems come with either 5, 7, or 10 year cylinder and collector warranty depending on the model you choose. Questions about which rooftop solar hot water system to buy? Contact us on 1800 266 999 for advice. If you have limited roof space or you prefer a more streamline look, then a split loline solar water heater may be the best solution. Whilst the solar panels are mounted on the roof, the storage tank is located at ground level. 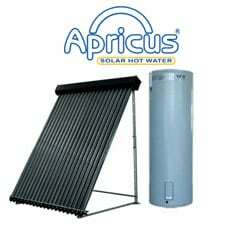 Solar water heaters work by absorbing energy from the sun’s rays in roof mounted solar collectors and transferring it to the water stored in the ground mounted storage tank. Ground mounted systems employ inbuilt pumps to push the fluid through the system. The split design of the system reduces the roof’s structural load, as only the low profile solar collectors are installed on the roof. Which system you choose will depend on where in Australia you live, which way your home faces and even the pitch of your roof. So it’s important to talk to one of our solar hot water specialists to determine what type of hot water heater is ideal for you. Questions about which split solar hot water system to buy? Contact us on 1800 266 999 for advice. Solar heat pumps deliver hot water by efficiently by utilising a free and abundant source of energy – the heat that is in the air around us. Refrigerant vapour compression technology enables the heat pump to intensify this heat, which is used to produce hot water. Heat pumps are more efficient during warmer months, and will operate for less hours during the day than in colder months of the year. Because heat pumps do not require solar collectors, they are perfect where roof space is limited. Additionally, since they utilise the same plumbing and electrical connections as an electric water heater, solar heat pumps are an ideal upgrade from a standard electric water heater. Which heat pump solar system you choose will depend on where in Australia you live, which way your home faces and even the pitch of your roof. So it’s important to talk to one of our Sydney solar specialists to determine what system is ideal for you. 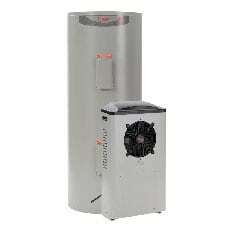 Questions about which heat pump to buy? Contact us on 1800 266 999 for advice. Choosing which solar system is right for you isn’t easy but, don’t worry, that’s where we can help! While price will always be a consideration when choosing what solar hot water heater to buy, it’s crucial you also receive the right up-front advice, a problem-free installation and comprehensive after-sales-service. 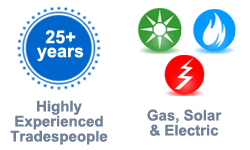 With all these factors to consider, it’s very important you talk to a reputable, experience solar hot water expert. We are Sydney’s leading solar hot water system installers and can advise you which product(s) are right for you. Choosing the wrong solar hot water heater can mean running out of hot water or, importantly, purchasing a system that’s more expensive than you actually need. We can also give you advice on solar incentives available and how much you can claim on Government solar rebates and incentives. At Cheapa Hot Water, our solar hot water experts are trained and qualified to ensure you get the best solar solution for your situation. We will visit your home and discuss with you your needs and requirements. We assess the site conditions and arrive at the best solar solution for you. Before buying a solar hot water system from a retailer or through one of our competitors, contact us for a quote first – it could save you hundreds! Our solar systems are very competitively priced because we purchase large quantities direct from the manufacturers – a saving we can pass on to our customers. For advice on which solar hot water system to buy, call our Sydney solar experts on 1800 266 999. The price to switch to solar hot water or install a new solar hot water system varies from property to property. Over the phone our solar experts can ask you a series of questions that will enable them to give you a price estimate. We then recommend undertaking a site inspection of your property where we will be able to give you a firm quote. The higher installation costs of switching to solar hot water are compensated by longer-term savings and the reduced impact on the environment. A solar hot water system can substantially reduce your power bills by providing 65 to 80 per cent of your hot water free of charge. The Federal Government solar incentives can reduce your initial investment making the switch to solar hot water not only a good choice for the environment but also for your pocket. The Federal Government encourages people to switch to solar hot water and offers generous incentives to help you make the transition. The incentives come in the form of Small Scale Technology Certificates (STCs), which can be sold to recoup a portion of the cost of purchasing and installing your new solar system. By installing a solar water heater or solar power system on your property, you may be eligible for STCs. These STCs can be used to reduce the purchase price of your new system and can often save you thousands of dollars.  For a solar hot water system, each STC represents 1 megawatt hour (MWh) of electricity displaced over a 10 year period. The number of STC’s created varies with the size and model of solar water heater and the region (or zone) in which the unit is installed. The value of an STC is not fixed and varies depending on market factors. 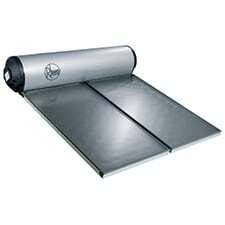 Once you install a solar water heater the STCs produced can be traded and sold on the open market. You can assign the right to create your STCs to your installer who will pay you the value of the STCs as an upfront discount on your system. Contact us for more information about STCs and how you can take advantage of them when purchasing a new solar hot water system. 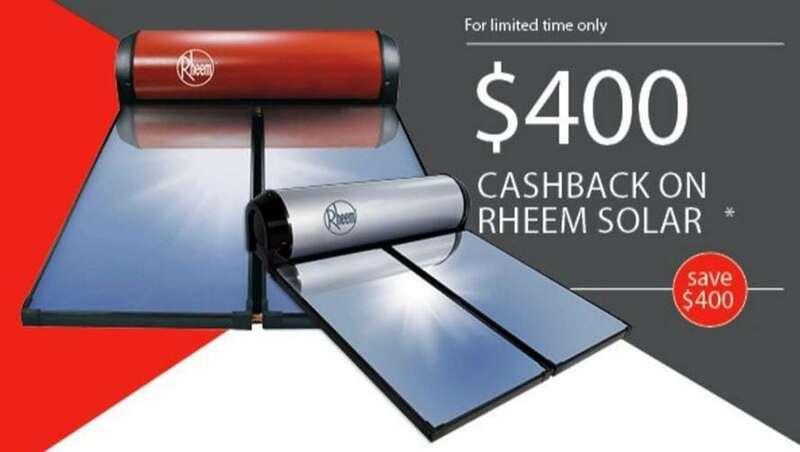 We are pleased to offer our customers an amazing $400 cash back to our customers who purchase a new Rheem 300 litre solar hot water heater. You may also be eligible for Government incentives, making this offer even more exciting and affordable! Hurry, this offer expires 8th December 2017. With so many solar hot water systems to choose from, how do you know which one is the best for your household requirements? We install dozens of solar systems into Sydney homes every year so to help you make an informed choice, we have featured below a selection of our most popular solar products. Click on the model name for more information on the specific model. If you need help comparing solar hot water heaters, contact us for obligation free advice on 1800 266 999. 325L capacity tank is suitable for 2 – 6 people. 5 year cylinder warranty. 410L capacity tank is suitable for 3 — 7 people. 5 year cylinder warranty. 305 L capacity suitable for 2-5 people. 10 year warranty. Available in 5 Colorbond colours. The Premier Hiline utilises the S200 collector which provides good performance in all locations. 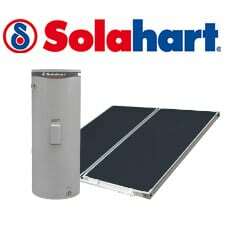 The Solahart L Series is a roof mounted, open circuit solar water heater specifically designed to provide economical service in medium to high solar gain areas. 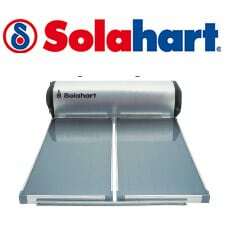 The Streamline closed circuit system offers a choice of either the Solahart Kf or J collector. The Everlast stainless steel storage tanks provide a natural barrier to corrosion and rust, have excellent performance in areas with hard water. The glass lined storage tanks are made from vitreous enamel with a sacrificial anode. 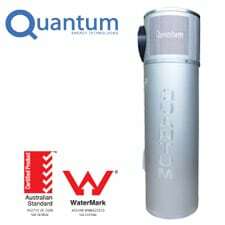 The Quantum solar heat pump domestic range offers environmentally friendly solar hot water, on tap, day and night. We offer fast, same day solar hot water system installation to all Sydney suburbs. 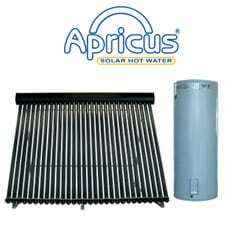 Solar hot water heaters an expensive appliance and should only be installed by a fully qualified, licensed tradesperson. Don’t risk voiding your warranty by using inexperienced, unlicensed labour. We are authorised solar hot water system installers for the major brands including Rheem, Solahart, Edwards, Apricus, Quantum and more. We can safely repair your solar system when under warranty and liaise direct with the manufacturer regarding any associated costs. 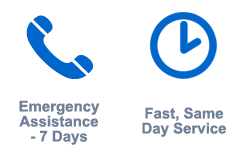 If your hot water system is damaged in a storm, or any other unforeseen circumstance, we are happy to negotiate the repair through your insurance company. This video below shows how, with the right tools, we make light work of solar hot water system installations. With the right equipment on hand, you don’t have to wait for us to hire other trades to get the job done. Did you know that a solar hot water installation usually needs plumbing, gas and electric components. This requires the experience and qualifications of both a licensed plumber and a licensed electrician. At Cheapa Hot Water, our licensed solar installers are qualified to undertake any plumbing and electrical work required to complete your solar hot water system installation quickly and within budget. Plumbers who do not specialise in solar water heater installations may need to outsource the electrical work required to another tradesperson, thereby holding up the process and adding extra expense due to additional call out fees charged by employing two tradespeople. Below are some interesting examples of Sydney solar hot water installations we’ve undertaken recently. Our experienced solar hot water system repair technicians offer fast, same day solar of all makes and models including Rheem, Solahart, Edwards, Apricus, Quantum and more. Our trucks are on the road right now stocked with thousands of spare parts to repair and service your hot water heater quickly. Hot water is our business so you won’t have to wait weeks for parts to be ordered and to arrive. 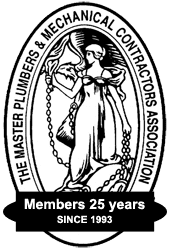 Did you know that most manufacturers won’t cover the terms of your hot water system warranty if it isn’t repaired or serviced by a licensed hot water technician or qualified plumber? Your solar hot water heater is a very expensive appliance so don’t risk voiding your warranty by trying to repair it yourself or employing the services of an unqualified, unlicensed tradesperson. Always check the qualifications of any tradesperson before allowing them to repair your solar hot water heater. Below are some interesting examples of Sydney solar hot water repair work we’ve undertaken recently. 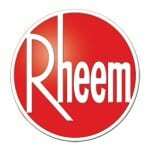 Rheem has been Australia’s premier water heating brand for over 75 years. 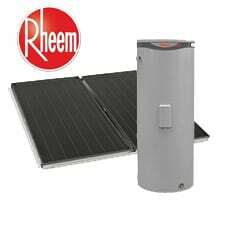 Rheem’s roof-mounted solar hot water systems have storage cylinders made of either quality stainless steel or vitreous enamel coated mild steel. Stainless steel acts as a natural barrier to corrosion, whereas vitreous enamel coated water heaters require a sacrificial anode. 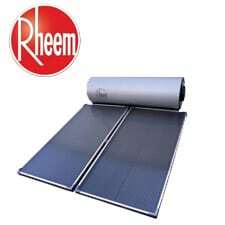 The outer casing of Rheem’s stainless steel solar range is constructed from weatherproof Colorbond® steel. 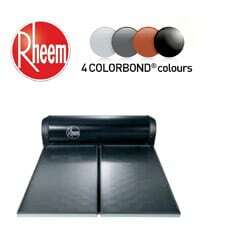 Rheem offer a choice of four contemporary Colorbond® steel colours with their modern design roof mounted range. Rheem’s roof-mounted storage systems come with either 5, 7, or 10 year cylinder and collector warranty depending on the model you choose. Solar hot water is our business! Hot water is our business – it’s not a sideline. Each year we install over 4,000 hot water systems in Sydney and Central Coast homes and businesses. As one of Sydney’s largest hot water system suppliers, our enormous buying powers and ability to buy direct from the manufacturer means we can pass attractive savings on to our customers. Our fully qualified, licensed hot water heater installers have over 20 years experience each. 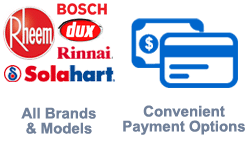 We are accredited service agents for all the hot water heater brands including Rheem, Dux, Rinnai, Aquamax, Bosch, Conergy, Hocking, Apricus, Vulcan, Edwards Solar, Solahart, Everhot and more. Cheapa Hot Water is a local Australian family owned business offering reliable, old fashioned service. We pride ourselves on fast, same day service for all electric, gas and solar hot water systems. Free delivery of your new hot water system and complimentary disposal of your old water heater. We are qualified to undertake all the plumbing and electrical work required to install a new hot water system. There is no need to waste money employing multiple trades. We have all the equipment needed to install your hot water system today. We don’t have to hire or wait for other trades to arrive with the required equipment. Complete the form below if you would like one of our service technicians to call you within the next hour. Cheapa Hot Water Sydney : Emergency Repair & Installation Service © 2019. All Rights Reserved. What day / time best suits you? ** Once we receive your enquiry, we'll be in touch to discuss your hot water problem and book a suitable time to attend, if required.